Antier, no more, ended the Third Universal Meeting of Writers in Bucaramanga. It was four days and more than 20 presentations in parks, universities, prisons, corners of neighborhoods, concerts cafés, atriums of churches, cultural centers and auditoriums unions. More than 30 poets shook hands with people in the street and on the airwaves her song of peace and hope. In Venezuela, Argentina, Peru, Chile, Ecuador reached Britain and lush faces and brothers formed a beam with 18 bodies of the host country. From morning until the eyes are tired they went with lyres, smiles, complaints and loves underarm. In two vans and carpet of dreams they traveled between palms, acacias, almonds, snuff, cinnamon and ceibas. They ran through the metropolitan area in Girón, Piedecuesta and Floridablanca and feet were stretched to San Gil and Socorro. Everything was a feast of words in verse and a walk sweat and fatigue and illusions with wings. In the Grand Canyon of Chicamocha river from above, Snuff sheet in the park Panachi enveloped us with its aroma. Celina Garrido and blue eyes that brought from Cordoba, Marcela Predieri and fine nose and Susana Lobo with his candor tucumana mother put the point of quality and human freshness. Caracas Venezuela brought joy to Keila and Alejandra Segovia. Marino Lopez with his face Inca was an idol among all and Tim Cloudsley, British, he behaved like a big boy. The sternness of the Swedish-Chilean Mario Encalada closed the concert of foreign notes. The Natalias, Londoño and girls Cruz caught everyone's attention. 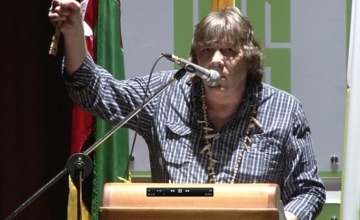 De Cali came with manjarblanco between his verses Gloria Medina and who subscribes. Of land came paisas Angela Penagos and Conrado Alzate to raise laughter and season the sauce. Far Llano came the Araucaria Lizneira Roncancio and wove his grace and embrace friends in the group.